Michaela: How did you become a blogger? How long have you been blogging? What is your favorite thing to write about? What is you dislike about blogging? What is your favorite part of being a well read blogger? How have your grown in your blogging and because of your blog? Consider your past posts and tell me what your three favorites are. 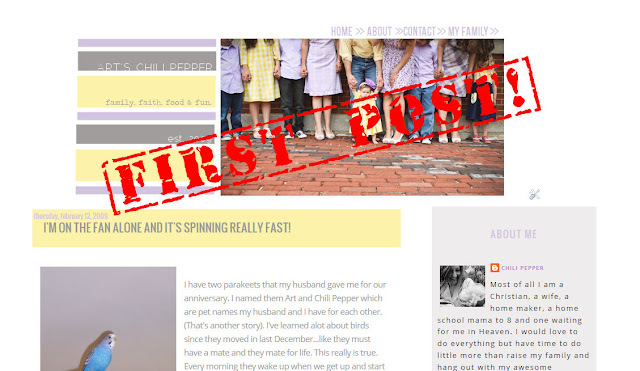 I started blogging in 2009 as a way to keep in touch with family and friends around the world. So that is... what 3 1/2 years ago? I have blogging to be so therapeutic for me. If I can put it in a post I can bring things into perspective or solidify them in mind. I don't have a place or time to make my scrapbooks anymore so blogging has become my temporary holding spot for all the memories we build as a family. I love to blog about the Lord. Sharing what He does for me and what He can do for you and what He is teaching me... it brings me such pleasure! I prayed for many years for more ways to minister, with my limited exposure to the world. God turned my blog into an answer to prayer. What started as a way to scrapbook our memories and share it with those we love, has become a way to love those we don't even know. Almost every day I get emails from ladies looking for answers and I have been blessed to see many of them come to the Lord. I have seen their lives changed. And in watching all this occur, I have been blessed immeasurably and my family has grown in their faith and their walk with the Lord. 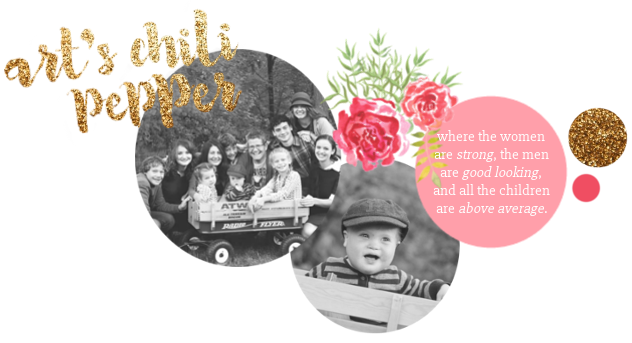 We have come to know so many amazing people in real life because of the contacts we made at Art's Chili Pepper. It is always a pleasure to meet other Christians, particularly those who share similar values. We also have a long list of great people we would like to meet someday. What do I dislike most about blogging? Eyes rolling... deep breath. Some people can be hateful. There have been times when I have received unpleasant mail because someone didn't agree with our beliefs. Which I really don't get. If you don't like us and you don't agree with us, why read my blog? But that, too, can be a growing experience. Probably my greatest challenge as a blogger at this time is finding time to minister with all the needs that come in. I don't blog when my kids are up and I don't like to take from the evenings and weekends when my Allen is home to write so replying to those requests... or rather not being able to... makes me really feel like I am letting someone down. My family is so supportive, though. I often contemplate giving up blogging and they always talk me out of it. The other night I had an email I had not been able to reply to for a few days and it was so heavy on my heart. Allen and the girls put the kiddos to bed and put me alone with my computer while they worked in the basement. I spent three hours on that email and when 12:30 rolled around I was so frustrated at the amount of time it had taken. My husband hadn't even had dinner and any other man would have been fussing. But no. I was more upset than he was. The next day my girls said something along the lines of how much it meant to them that I took time to write for other people. It really is something I could not do without the amazing gang I have. Michaela: For my readers who have never been to your blog, sum up yourself and/or your blog in ten words or less. My blog and my life are eclectic. Family... Food... Fun... Faith. Readers, do tell me. How did you become a blogger? What do you like to read about? What do you love to write about? What do you like most about blogging? What do you hate?